Tyre review data from 25 tyre reviews averaging 82% over 293,644 miles driven. Sorry, we don't currently have any questions and answers for the Goodyear Eagle F1 Directional 5. Why not submit a question to our tyre experts using the form below! Coming from Pilot Sport 3 this tyre did not perform at all. Dry grip is almost as good, but when rain comes the Pilot Sport 3 puts Directional 5 to shame in the wet grip category. Noise levels were quite similar to PS3 but PS3 still wins. That being said the Directional 5s were 30% cheaper than the Pilot Sport 3s would it be worth the cost savings for Directional 5s? Yes and No. Yes if you were coming from crappy tyres previously and upgraded to the directional 5s. No if you were using pilot sport 3 or even the Asymmetric 2. There are some things that money just cannot buy and safety is one of them. I feel absolutely safe when I go at 130km/hr on raining days but not with the Directional 5. Have you driven on the Goodyear Eagle F1 Directional 5 tyre? 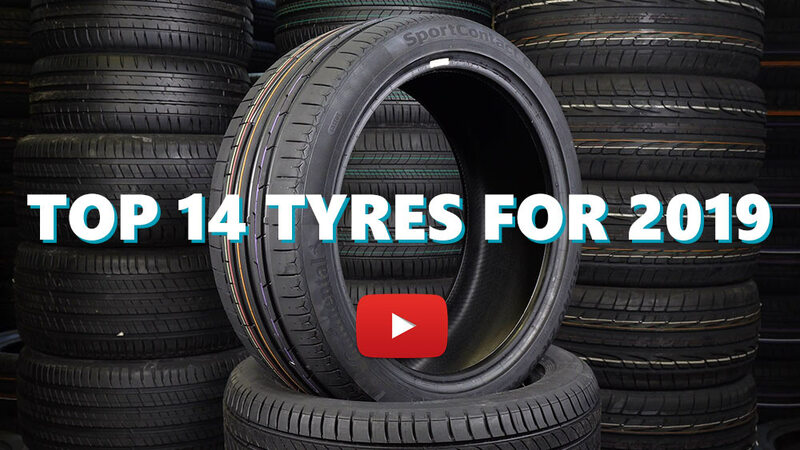 Please help millions of other drivers make an informed tyre choice and pick the correct tyres for their car by submitting your review of the Eagle F1 Directional 5. I bought 4 of these tyres to replace my Bridgestone Potenza RE003 and I instantly felt my ride transformed to a more comfortable ride. It does so but soaking all the bumps. It performed very well in the dry and relatively well in the wet when new. The tread patterns looks aggressive and makes me admire the pattern every time I come out of my car. The best part about buying this tyre was the cost, it was the cheapest premium tyre I could find and lasted me nearly 50,000KM. I expected to get 40,000KM out of them but was impressed that I got more. Considering I drive a heavy car like Volvo, this is remarkable! Now comes the downsides of this tyre. Firstly, this is a directional tyre and you could only rotate it front to back and vice versa. The tyres did not wear out evenly even after rotating and balancing every 10,000KM. Secondly, as the tyre wear, these tyres emit more noise than usual and more prone to slipping in the wet. Overall, I would recommend this tyre as a mid-range option but if you can afford higher end options, go for it. I opted not to buy again because I wanted to try something else and have moved on to Michelin Pilot Sport 4. Those tyres are entirely a different breed! I had gone through a set of Directional 5’s in 50,000KM and it served me well. It was my first set of Ultra High Performance tyres so I could not make acceptable comparisons due to my lack of experience. However, now having gone through Dunlop’s Direzza DZ102 and Yokohama’s Advan V701, I can confidently say that the Directional 5’s was a lot more confidence inspiring and longer lasting than any of the others aforementioned. Dry grip is good but it really excels in the wet. These tyres had never made me felt a lack of confidence in all my time with it - so much so that even with ~30% of thread left, I was still tackling corners at way above legal speed limits. I knew the tyres were done for when I oversteered during a rainy day on a high speed corner. Every other tyre I’ve used after this has failed to give me the confidence this tyre has. I am going back to this tyres after my Advan V701s are done with - which is soon after 40,000 KMS. Definitely recommended for cars up to 200whp. I previously used this F1D5 for over 50k km (>34k miles), on staggered sizes 215/50/17 & 245/45/17. Occasionally I drive spiritedly, pushing the tires a bit during cornering. Based on my experience, this was a pretty good well rounder UHP, performing quite balanced between dry & wet. Compared to the CSC5, CSC3, & F1A2 that I have used/am using now, this F1D5 is surely below CSC5 & F1A2 but I feel it's better performance and more predictable/controllable over the limit than CSC3. The tire also lasts quite long (over 50k km with my driving), but the rubber was chipping quite a lot even though it's not much of an issue. Comfort wise, the ride is pretty comfortable, just that a bit more noisy especially when the tire is reaching 60% life or less. I used small mpv, perodua Alza. After almost 90k km in stock silverstone tire, i change to dunlop d01 which initially is ok. But when it approach 50% thread, there is very less grip in the wet. Oversteer once but manage to countersteer. Then decide to change to goodyear assurance triplemax.. It provide good grip in wet road and I was happy. After that changing to this tire. My expectation is better dry grip with slightly less or at least at par with triplemax but I'm totally wrong. It can be the best tire which offer good grip in both dry and wet. Never lost the grip even once.. I had done hard braking + cornering which activated abs (this car does not have vsc), still manage to steer the car without any failure. If I'm on stock tire, for sure I'll hit the sidewall.